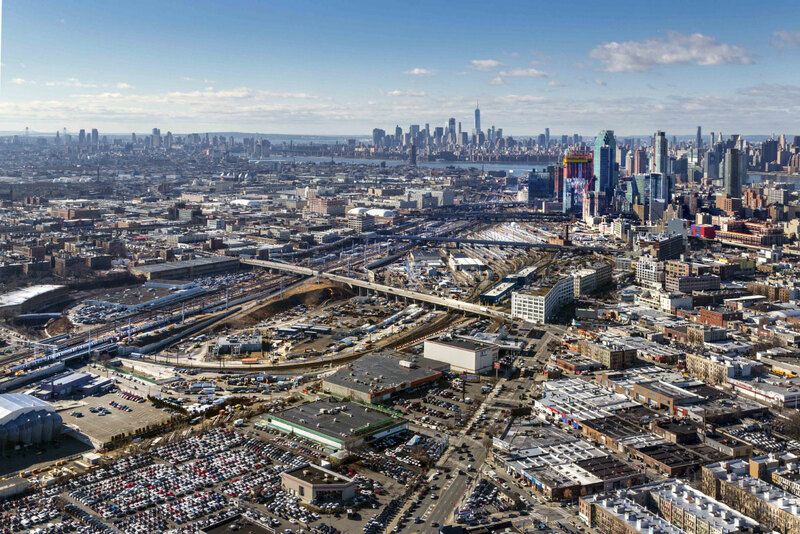 A team headed by Vishaan Chakrabarti has been chosen by the de Blasio administration to create a master plan for Western Queens’ Sunnyside Yard rail pit, according to Crain’s New York. While nothing has been officially announced, Chakrabarti and his firm, Practice for Architecture and Urbanism (PAU) will be responsible for envisioning how to deck over the 180-acre yard and support parks, retail, commercial, and thousands of residential units. 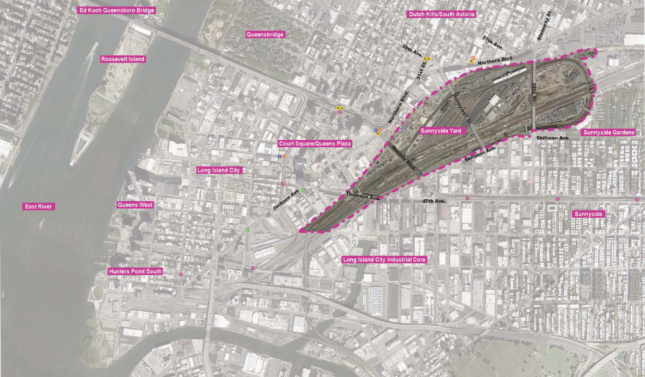 The idea to deck over the still actively-in-use train yard with housing has been kicking around since 2015, when Mayor Bill de Blasio commissioned a feasibility study from the New York City Economic Development Corporation (NYCEDC). Released in February of 2017, the report found that it would be feasible to deck over anywhere from 80 to 85 percent of the site, and up to 24,000 residential units could be built for around $19 billion (about the cost of Hudson Yards). Each of the three schemes in the feasibility report offsets the mixture of residential units with space for cultural centers, schools, retail, and office space, though it’s unclear what PAU will focus on. Sunnyside Yard, which is so large that it stretches across the triangle of Astoria-Long Island City-Sunnyside neighborhoods, is still in active use by Amtrak, Long Island Rail Road and New Jersey Transit, and any plan would need to allow for its continued use. Because of the difficulty involved in building over an active train yard, the master plan will help inform Amtrak’s decision to upgrade its facilities in the future. PAU’s selection comes on the heels of a Request For Qualifications released by the NYCEDC in September of last year, though neither party were willing to confirm the choice to Crain’s. Assuming the report’s sources were correct, PAU will draw up a vision for the rail yard and create a specific development plan for the megaproject, a process city officials estimate could take up to two years.